As you know, we all have an impact on the environment, and here, at our Worthing printers, it is no different. However, as a company, we are very conscious of our responsibilities and we not only recycle waste paper but ink tins, printing plates and industrial wipes. We use vegetable based inks, all our plate making is chemical free, and we use shredded postal waste paper for packing. Our team encourages our clients to opt for FSC papers or those in the Carbon Capture Scheme over recycled papers, as nowadays recycled papers often have a greater carbon footprint. Kenads became a Carbon Capture Company back in 2015. We take our corporate social responsibility very seriously and work towards reducing as many impacts on the environment as we can. The Carbon Capture Scheme, with Woodland Carbon, helps companies reduce their carbon footprint with a tree planting scheme in the UK. We are proud to be part of creating new woodlands and harnessing the power of nature, by the most simple and natural way to reduce carbon dioxide in our atmosphere. Trees provide us with the oxygen with which to breath and are much-loved homes to a myriad of creatures from bees and butterflies to dormice and birds. We all love to spend time outside and being part of planting new woodland and increasing recreational spaces for people in the UK is an aspect of working at our printers which we all appreciate. The UK is one of the least wooded countries in Europe, with tree cover of just 13% compared to a European average of 37%. By reducing our business’s carbon footprint and supporting nature and recreation, at the same time, it is a win-win situation not only for us but also for our customers across the South. We look forward to seeing more native woods and trees in the UK for everyone to enjoy. The Woodland Carbon projects are managed to national forestry standards and are publicly registered and independently verified. We are therefore confident that we are partners in a responsible scheme that follows forest management standards and procedures. What is a print portal? It is a quick and easy way for your staff to go online and order their business cards, stationery, sales catalogues and flyers. Our web-to-print process is especially good if you have branches in different locations. How many employees can use the print portal? We can set up the portal to be used by as few or as many employees as you like. What kinds of quantities can my employees order? The quantities can be customised to your requirements. For example, if you do not want your employees to order more than 200 business cards – this can be the limit. With letterheads, we can set differing amounts as we understand that some branches may use more than others. These can range from 100 to 10,000 for example. Will using a portal keep my brand consistent? Yes, this is the best way to ensure that when different members of staff order print, your brand messaging will stay the same. How easy is the portal to access? Your company will have a personal login and members of staff will have their own passwords on the system. Can different employees change the details on business cards? Yes, the template will remain the same and each member of staff who orders business cards enters their own name and contact details without compromising your company branding. Does using a print portal save us time? Yes, and the turn-around is much quicker as the templates are set up for you. Your staff will just have to enter their personal details and branch details (if applicable) and the turn-around time is cut because it goes straight into our system. Can I order more than just stationery? Yes, we can add promotional products such as corporate gifts, pens, coasters, ID cards etc. It is very user-friendly and slick. How can I keep control of my budget? Your senior managers can have access to all the orders that go through with the ability to authorize orders. This keeps a check on monthly/quarterly budgets and assures companies that staff are not over-ordering items. Guaranteed first class customer service from start to finish. Promotional cards for staff keep on their desks/bulletin boards for easy ordering. Bigger, better or large format – we can print it! If you are looking to make a statement or require new exhibition graphics for your autumn conferences; pop-up banners; super large posters; external banners; internal displays or big graphics or images, we now print to virtually any size in our Worthing printers. 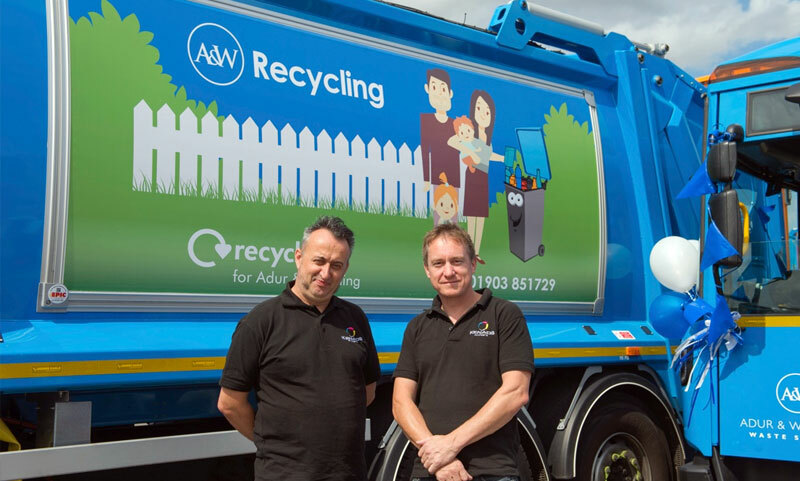 We even designed and printed the large graphics on the side of the recycling trucks for Adur & Worthing Council. If you need large format to stand out at exhibitions, we can design and print high quality digital graphics to fit all your display options. Roller banners, pop-ups, portable displays, photographic inserts and modular display stands will increase your visibility and will get your stand noticed at any event. We can design, supply and print fresh graphics to fit most displays or we can supply the complete system if you require. Our production process allows us to print directly onto foamex panels which can be used for signage, exhibitions, backdrops and presentations. Foamex is light and easy to use and can be trimmed to size to meet your purpose. Show off your own photography on large canvas prints. Bring your rooms to life with prints that bring art and photography directly to the walls in your home or office. 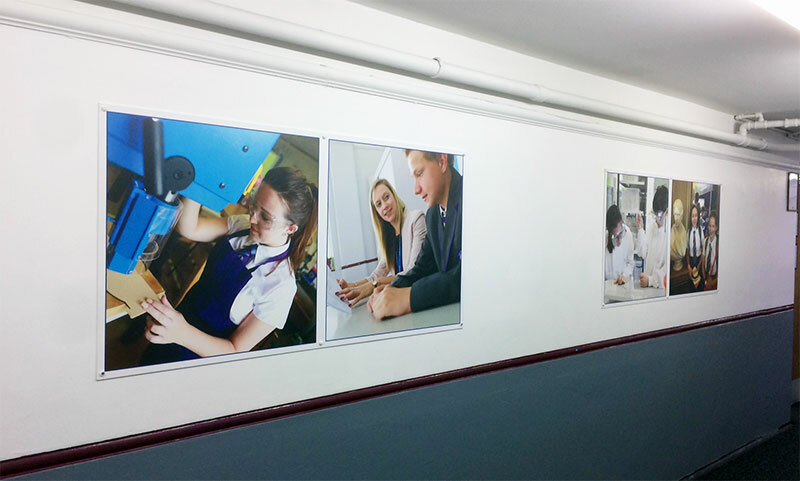 Create a lasting impression in your place of work, school, college or university with large format prints of your products, your staff, your pupils and their achievements. Show your products and services larger than life. Our brand new fine art and poster printer can produce images onto poster paper up to 1.4 metres wide and up to 30 metres in length. Using A boards outdoors then why not ask us for weatherproof PVC to keep your message clear and bright? Whatever your large format needs – just ring us or ask for a quick quotation. Author kenadsPosted on August 24, 2017 June 10, 2018 Leave a comment on Bigger, better or large format – we can print it! 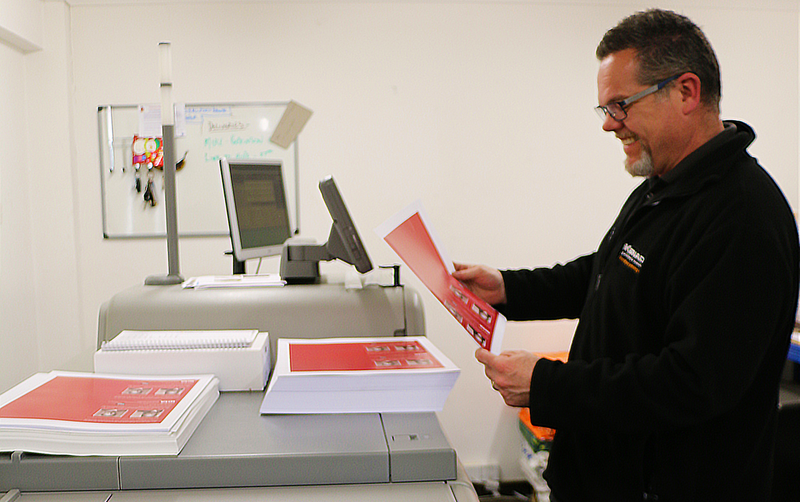 Ian Strudwick, CEO of Kenads Printers in Worthing, talks about how he started in print, the changes in technology and how adding value to their customer relationships has been core to their business development. I was just 21 and, at the time, my dad was running Kenads Printers together with my stepmother and one other person in the print room. I was just finishing a four-year apprenticeship as a mechanic and had three months of my City & Guilds to complete before I became fully qualified. Not surprisingly, our lives were thrown into disarray when my stepmother eloped with our print worker leaving dad to run the business on his own. Dad’s background was sales, and I felt duty bound to do my best to pick up the ropes. All we had was a Heidelberg GTO and a Multilith 1250 – so I had to learn the hard way. Most of it was self-taught but my mechanic’s training certainly came in useful. Dad’s friends in print used to pop down after work and give me some extra tuition. It was the long hours. I was young, enthusiastic and soaked up everything that was said. I worked all hours to get the jobs done – sometimes until three in the morning. Although, not good for relationships, the satisfaction of starting with nothing and then, at the end of the day, seeing a finished job was very rewarding. You took your time to get it right, it involved a lot of skill and produced great satisfaction and pride. That’s where Kenads personal service started. We go that extra mile to perfect each job even when customers require a fast turnaround and competitive prices. How did your wide range of print products develop? Over the years we have had to diversify as the world of print was continually offering new ideas, papers, inks, formats and finishes. When we first started, items like plates and film were out-sourced to other businesses. Little by little, we increased our knowledge and skills, invested in machinery and offered those services ourselves. Computers came along and the printing scene started to move quickly. In school, I was in the first year who were taught ‘O’ level computer studies and, came top of the class. In the 6th form, as our teachers knew less than us, I was offered a job teaching years 3 and 4. I could have gone into computing but loved cars and wanted to get my hands dirty and so began my mechanic’s apprenticeship. What do you think of print technology today? Over the past ten years it has changed beyond recognition from the days of bromide, film and plates. We purchased our first digital press around the Millennium. It was an Oki, which printed business cards in colour – a revolution at the time! Digital print is continually evolving and I still love the technology. We have recently invested in a new Ricoh Pro C7100 which we use for short run leaflets, business cards and booklets of 500 copies or less. We can turn these around on the same day if necessary. The new press also offers a 5th colour, can also print in white (on a black card for example) and print clear. On a brochure, we can add a glossy UV effect, on the cover or, throughout and on selected pages. The digital press will also print on paper weights up to 400 gsm and can print banners 710 mm x 320mm as well as 6-page A4 brochures. We also have the latest digital poster printer for banners up to 44 inches wide which is larger than A0. An excellent way to reproduce fine art prints, pop-up banners and roller banners. Are you accredited with any ISO or environmental standards? We are very aware of environmental issues and operate a carbon reduction strategy. We do as much as we can to help the environment including recycling waste paper, printing plates and ink tins as well as industrial wipes. We use vegetable based inks, our plate-making is now chemical free and we use shredded waste for packaging. Whenever and wherever possible, we print on either FSC (approved papers from sustainable sources) or recycled papers. As a member of Woodland Carbon our customers have the opportunity to capture the carbon from paper purchases by planting native woodland in the UK. Just recently we have been awarded ISO 9001:2015 for High-Quality Lithographic and Digital Printing, Design and Marketing. We are also British Printing Industries Federation members which ensures we keep up with developments in a sector which is constantly evolving. No, not really – I live and breath it 24 hours a day and, it’s probably not good for my health but, I have a great wife that reminds me regularly to take it easy. I do enjoy holidays much more when I take them. What makes Kenads Printers different from other printers? That question is easy and, has to be, going that extra mile. I can say, in all honesty, we have always gone over and above when it comes to offering a personal service and being honest. I am extremely proud of all of my staff, our ethos and how everyone in the team works together to offer a high-quality end product backed up by good service. All printers complete on price, but at Kenads Printers, we endeavour to find the right solution at the right price, which is why so many people recommend us. People ask us for advice on the most cost-effective way to design, produce and print their marketing materials. We have an experienced and skilled team whose breadth of knowledge ensures each client receives the very best. We try to work with the customer and adapt to the customer’s needs. We also include free delivery with all our orders, small and large. Nothing is too much trouble. How would you describe your typical customers? In the old days, our typical customer would have been a manufacturing business, particularly for printed manuals but we have diversified to address our customers’ needs which can vary from a single individual to a national company. We have a considerable number of clients based in and around the Worthing, Brighton and Chichester areas but we have many across other parts of East and West Sussex including the busy industrial centres of Crawley, Gatwick and Horsham. We print and deliver to companies in London as well as the south including Surrey, Hampshire and Kent. Is it a challenge running a family business? Yes, more of a challenge than it used to be. Most clients are looking purely at cost comparisons. We need to be highly competitive as well as offer the best service. What is the most important thing you have learned in your career? To be honest. I have found that if something can’t be done explain to the customer. Don’t promise something that you can’t fulfil. On the print side, I should have gone into e-commerce at the start, but I didn’t initially see the potential. I loved creating websites and technology but, as a family business, we were incredibly busy during that period and there was just no time. The majority of our clients were set in their ways and, it wasn’t until dad retired in 2004, that we began to show more of our work online. Kenads is developing all the time. We now employ ten people, invest in new technology and are always looking to provide more than our competitors. As printers we offer a vast range of products and the very best service; we can turn around jobs quickly if clients need us to; we can print litho and digital, at superb quality; offer competitive prices and we are the most friendly and honest printers you will find! It is good to know that, even in this digital age, well designed, fine print is a real asset to any company’s marketing strategy. Print is one of the oldest forms of marketing dating back to pre-Egyptian times when information was exchanged on rolls of papyrus. Many thought we would see the demise of books with the arrival of Kindles and tablets, but quite the reverse has happened, and the book industry has seen a resurgence. Figures show that the sales of ebooks were down 16% in 2016 (from the previous year), and that even millennials are reflecting this trend in favour of the traditional paper medium. So what is it that has changed? Well, we can see that with books, the tactile element and the enjoyment of browsing and buying within a real bookstore, has increased in popularity? Even Amazon are buying into bookstores. Therefore, we can assume that the physical, immersive experience of reading a book, turning the pages, anticipating what will be revealed, is a real pleasure. This, of course, becomes even more apparent with a beautifully designed and printed brochure, catalogue or magazine. As consumers, we like to be inspired. How many times have you sat down and thumbed through the pages of a good-quality brochure and imagined yourself on that holiday, driving that car or living in that dream home? We cannot help but be inspired and, therefore, how powerful is print? 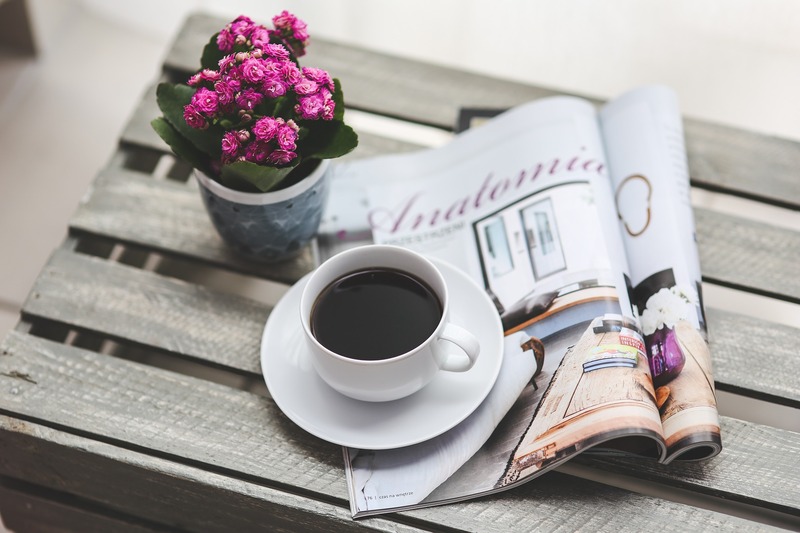 Brochures and catalogues are enjoying a renaissance; they are versatile, inspirational, they instil a level of trust, information and increase brand awareness. Global brands recognise how effective catalogues are as a significant sales tool. Together with their websites, call centres and retail outlets, they can measure accurately the effectiveness via printed codes and voucher offers. Brochures and catalogues benefit from ease of use, portability and repeat use. Information is readily available and easily displayed on a page – which is sometimes not the case with e-commerce when the search to find other models, colours and sizes, leads to frustration. We are now finding that online shops are starting to offer a printed brochure to increase trust and brand awareness. A digital-to-print strategy, for example, delivering a printed voucher/offer/product leaflet with an online order goes a long way to encourage further purchases from an online retailer. Create a striking design, use a special paper and give your customers added valuable content to enhance their experience of your brand and to ensure repeat business. Retailers who use an omnichannel strategy, recognise the importance of integrating a printed brochure or catalogue into their mix. Anyone with a certain ability can launch a website, but to increase a brand’s trust and credibility, a versatile, expertly crafted brochure, can play an important role in a company’s marketing and will continue to do so for many more years. If you would like to discuss any of our print options, request samples of luxury papers or discuss special finishing techniques, to lift your print to another level, please give us a call on 01903 506444.